What do you get when you put two cousins with a passion for food and music, along with a love monkey all the way from the Congo? You get the snazziest alfresco dining and bar, Bonobo, named after the love monkey. While Sahil Timbadia enjoys his share of adventure sports, all things food and live music, Nevil is the outdoorsy one. Graduating with a degree in economics from the US, Sahil was on his way to China when he returned to India and joined his dad’s steel importing firm. Soon, with a few of his cousins, all of whom have day jobs as well and a similar passion for food, music, entertaining in general, he planned to launch Bonobo. He says, “It is a lot of hard work but then everyone has to do it. The challenge wasn’t balancing both my businesses; simply waking up the next day after a night ‘work’ at Bonobo was the biggest problem!” Nevil Timbadia works with music, festivals and the arts through his venture ‘That Cat Entertainment’. 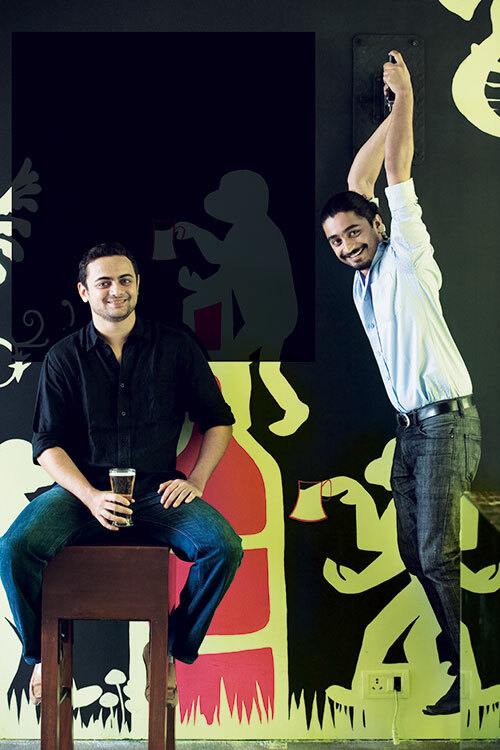 Together, Sahil and Nevil are what their restobar stands for: fun, love, and food.